Sometime midway through the 1990s, Piet Maris (frontman with the acclaimed Euro roots outfit Jaune Toujours) began to make contact with gypsy musicians and, through their guidance and contacts, to travel regularly to a Roma community in Slovakia. Through the latter, the ever curious musician learned their gypsy style of playing. Afterwards, this repertoire was thoroughly reintepreted by the musicians of Jaune Toujours, who, in their usual fashion, began pushing the music beyond the boundaries of tradition by adding their own musical flavours to the sound. At first, the more traditionally-minded gyspies in the band’s audience frowned in astonishment at these changes but the sound began to catch on with the younger Roma. The latter’s stamp of approval was, ultimately, given authority when two young Roma singers - Katia and Milka Pohlodkova - joined the band on stage and never left… The gypsy incarnation that has developed from Jaune Toujours is called Mec Yek and Super Diver City is their latest recording. 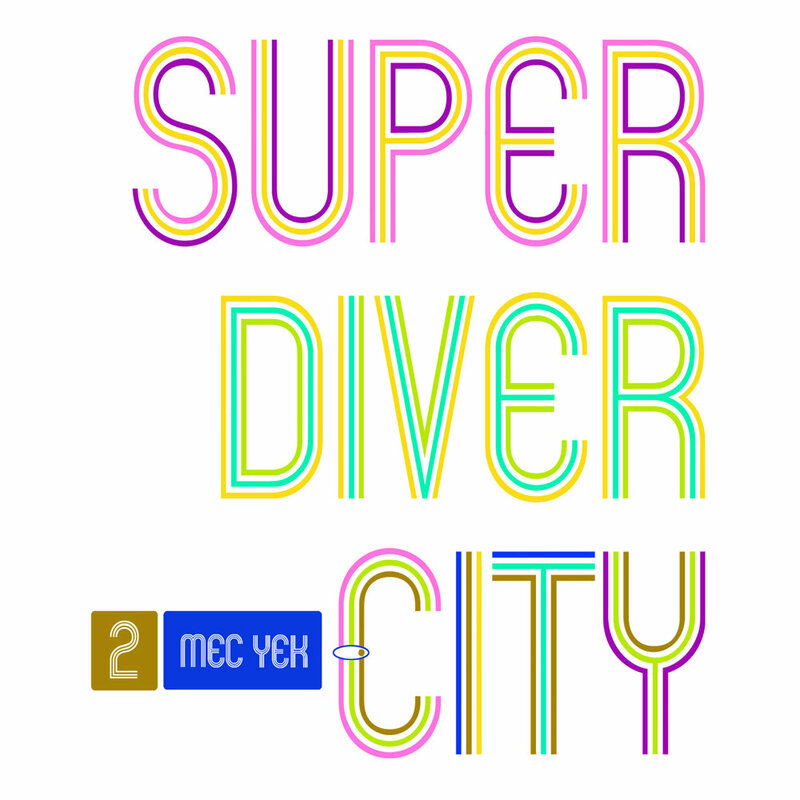 As you’d expect from Mec Yek’s origins, Super Diver City contains some musical surprises: twelve tracks, nine particular arrangements of traditional Roma-songs, two songs written by Katia and Milka and one Amy Winehouse-cover, translated into Romanès. Some songs show minimal orchestration, other pull out all the stops (now and then even with a Hammond organ). The band travels back to its nostalgic roots, from the early years with the Roma in Slovakia, to more contemporary and urban dub, ska, latin and soul. All nicely mixed together by Shazalakazoo, leading duo in Balkan Beats from Belgrade, Serbia, who delivered already in 2010 some surprising remixes of Jaune Toujours and Mec Yek tracks for the remix album RE:PLUGGED. But, against all expectations: Mec Yek is a gypsy band without violin.